Czech Republic President VÃ¡clav Klaus has asked the President of Greece to pay "special attention" to the case of two Arma 3 developers who are facing charges of espionage. Ivan Buchta and Martin Pezlar of Arma 3 studio Bohemia Interactive were arrested in September and charged with espionage for taking photographs and video of military installations on the Greek island of Lemnos. They described the situation as an "absurd misunderstanding" in a message released about a week after their arrest but they've remained in custody ever since, and sounded significantly more concerned about the seriousness of their plight after a Greek court denied them bail last week. 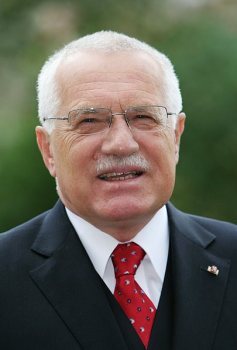 The situation has grown dire enough that the President of the Czech Republic has issued a direct appeal to Greek President Karolos Papoulias. "I would like to address a matter of two Czech citizens who were arrested in Greece and charged with espionage," he wrote. "This case is very sensitive to the Czech public and also to me as President of the Republic. The fate of our citizens anywhere in the world matters to us." "I have no doubt that the democratic Greek authorities - police, prosecutors and the courts - will consider this unfortunate matter impartially and independently. Even I do not in any way want to interfere with their work. I want to ask you, Mr. President, to follow this unfortunate affair with special attention considering the excellent relations between our nations so this does not throw unnecessary shade onto our relationship," he continued. "Once again, I want to assure you that I have the utmost certainty that our accused citizens will be given all the rights in the search for justice by the Greek authorities." I'm no expert at diplomacy-speak, but I think there's a good likelihood that Klaus is actually far from certain that his guys will get a fair shake, which is what led him to intervene. It's a government's job to get involved when its citizens become embroiled in ugly messes in far-away lands, but it's a task typically left to the functionaries of the diplomatic corps. The direct involvement of the President may mean that wheels will finally begin to turn, but it could also suggest that Buchta and Pezlar's situation is far more dire than anyone suspected.